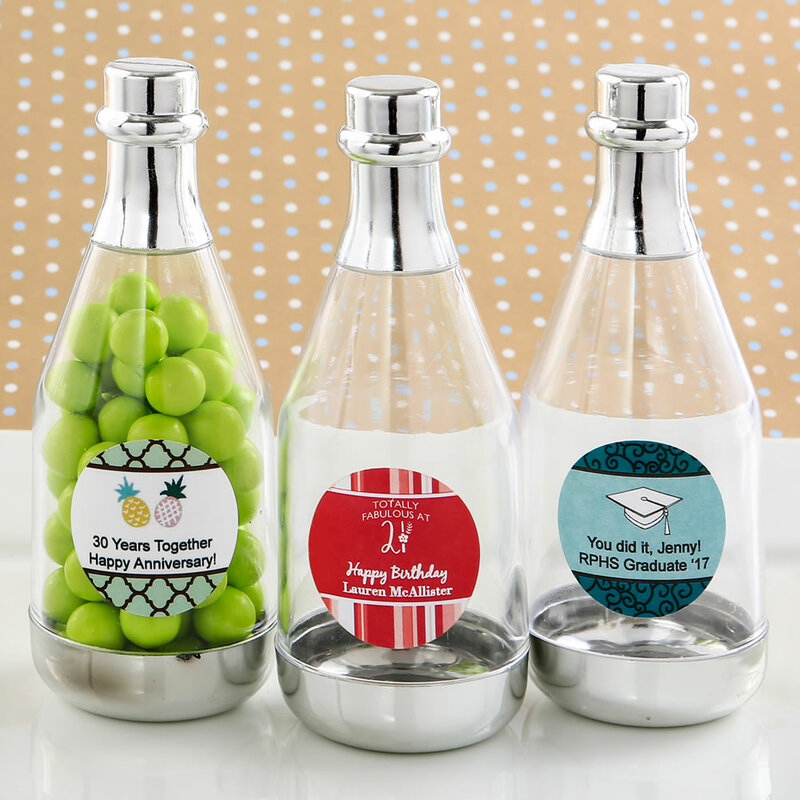 Fill these adorable acrylic Champagne bottles with unique treats, add a personalized label and wow your guests at your next celebration! This elegant champagne bottle is made of clear acrylic and has a shiny silver top and bottom. 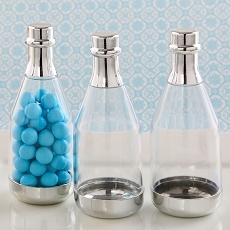 The bottom silver cap opens up allowing you to fill the bottle with treats of your choice. 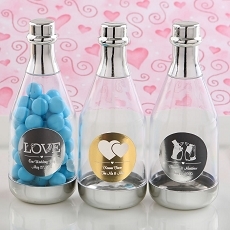 Delight your guests when you fill the bottle with candy or handmade treats, bath salts, chocolates, colorful trinkets for the ladies or trendy small gadgets for the gents. The side of the bottle is the perfect place to stick your personalized 1 1/4" round label. Choose from a huge selection of colors, styles, exciting border designs and themes and add your own name and date. Use our unique Design Tool to create your own design and preview it online. Labels are self sticking and come on easy peel sheets for easy application. Some assembly is required. A classic favor idea that will enhance your event tables at any special occasion. Size 4 1/2" x 1 5/8"